Well I just got back from a nice little stay at the beach and am ready to hit the ground running. We were in Laguna for a family reunion, where the girls ran a 5k (girl power for the win), grabbed countless cups of java, golfed, spent some needed R&R at the beach (maybe a little too much, resulting in a slight burn…oops), and indulged in delicious food. 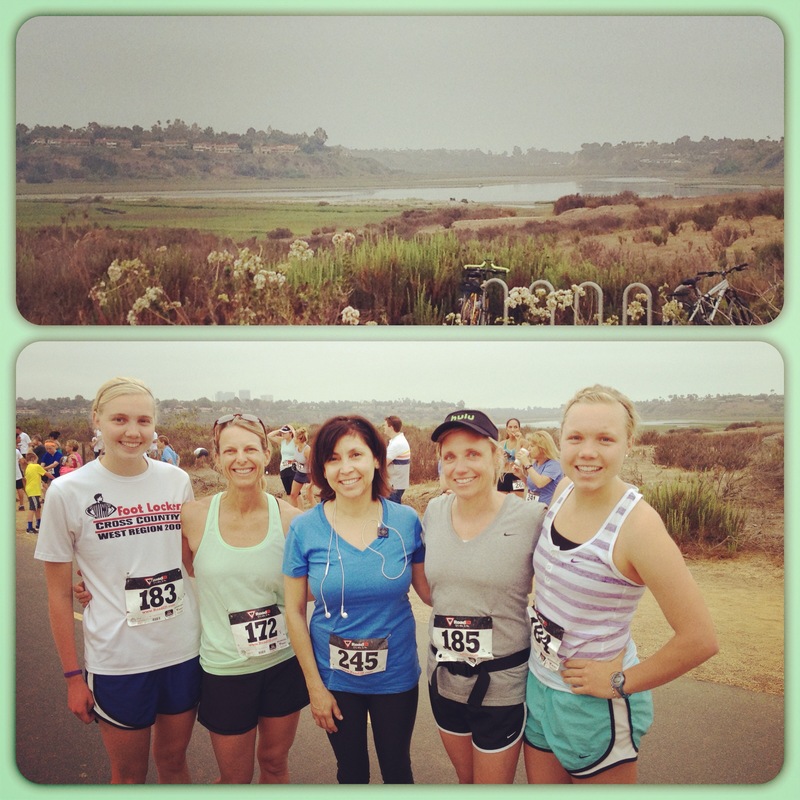 Post race celebration with my sister, mom, and aunts. 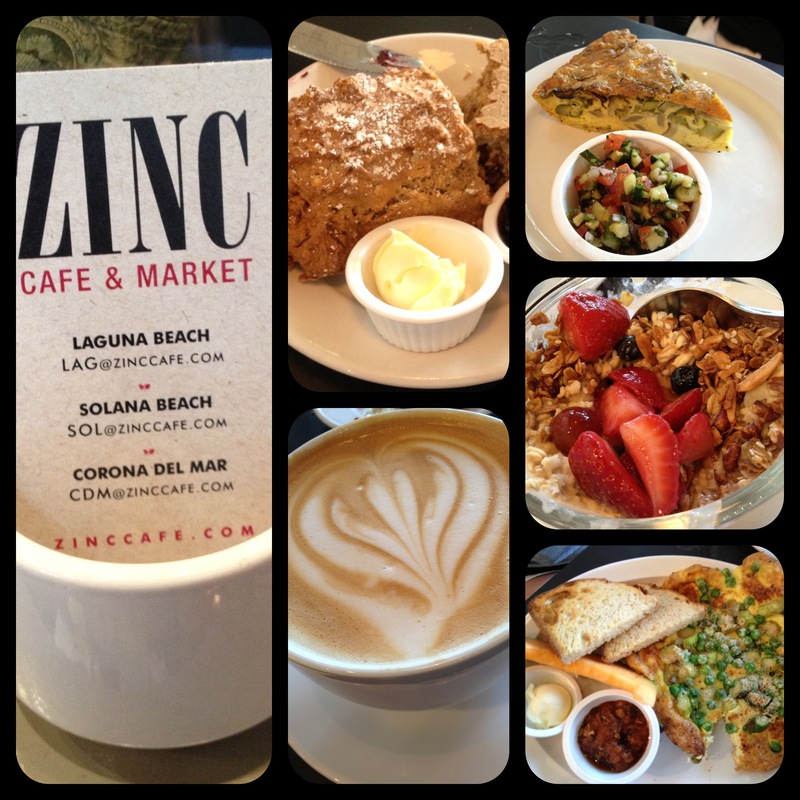 Zinc is a little market and cafe in Laguna/Corona Del Mar and is my absolute favorite. We eat there every time we are in the area and it never fails to impress me. They have a cafe along with a to-go area with fresh salads, lasagnas, and quiches, all of which are completely gourmet. I ordered the museli (Swiss oats soaked in creme and topped with fresh fruit, granola, and blueberries) and a vanilla latte. I spent a little bit of time while on the sand yesterday, listing out some of the things on my to-do list and how I should accomplish them. Lists are not for everyone, but they help me focus and keep me concentrated Otherwise I bounce from project to project, not really accomplishing anything. Oh wait, that still happens. Some items to accomplish: organize/clean out for yard sale, work on photo cards, experiment in the kitchen, schedule some social activities so I’m not a hermit, plan for the future, etc. For now, I’ll start the week off with a fun survey that’s been bouncing around. I’ll pull cliché answer with my mom and sister are probably my two best friends but they are family and are stuck with me. I’ve been fortunate to make solid friends over the years and would have to say there are three core girls I keep in touch with from high school (Lindsay, Laura, and Sara) and a couple from college (Liz and Alexis). Three words – ICE.CREAM.CAKE. I think it’s been ages since I actually had ice cream cake, but just thinking about it makes me swoon. 😉 How about ice cream cupcakes? These aren’t filled with ice cream, but were delicious all the same. My iPhone (running, blogging, photography, music, communication). What can I say? I’m a millennial child. New running clothes, cooking utensils, or fun culinary ingredients. July! It’s the peak of summer with no sight of stress or school and has one of my favorite holidays – 4th of July. Now, I’m not sure how this will change when I no longer have a summer vacation, but I have always had a soft spot for summer weather. Nope. Still working out my own life at the moment. Friends, family, a good workout, and a good bottle of wine. M. Marriage date? Mountain or Beach? I definitely enjoy Mammoth Mountain in the summer – the clear air of the Sierra’s and the ability to escape reality. However, I’ll always be at home by the ocean. One younger sister – Meghan (or Megnan as I like to call her. No, I didn’t mistype) We like to call my dog the son of the family. Hmmmm, well got to love those orange slices from AYSO soccer days. (I’ll be posting a recipe soon for candied orange slices, so stay tuned.) I also love apples, caramel apples, dried apples, Martinelli’s apple juice…can’t I just eat both and call it a day? I like to conquer my fears but there are some things that I’ll never get over. One for the time being is – people opening the emergency doors on planes – there was one woman on my last flight who would stretch her leg on the exit, obviously freaking me out. Oh boy, smiling makes life better. I’d say – every day, my dog, making my family laugh, and hey, Dodgers winning works too. London sort of exhausted my desire to go-go-go for awhile, so a relaxing vacation sounds mighty nice. Any recommendations? While I’ve lived outside of the country (England as a baby and Barcelona in 2011), I’ve never lived in any other state besides California. Not to pull one of those healthy blogger responses, but I’m OBSESSED with vegetables right now. Eggplant, tomatoes, asparagus, carrots, broccoli, onion, sweet potato, and squash. Interesting because I clearly recall gagging on squash as a child and making a huge scene. Between my ability to overanalyze and my impulsiveness, I think that covers it. Xray as long as I have funky sound-canceling headphones. Being somewhat of a neat freak, I don’t like the idea of strange goo all over me. No way this is a one-word answer. Frozen yogurt, ice cream, berries, apples, massive plate of mixed vegetables, salmon, and cheese. Choose one and respond? Randomness at it’s best, I think. 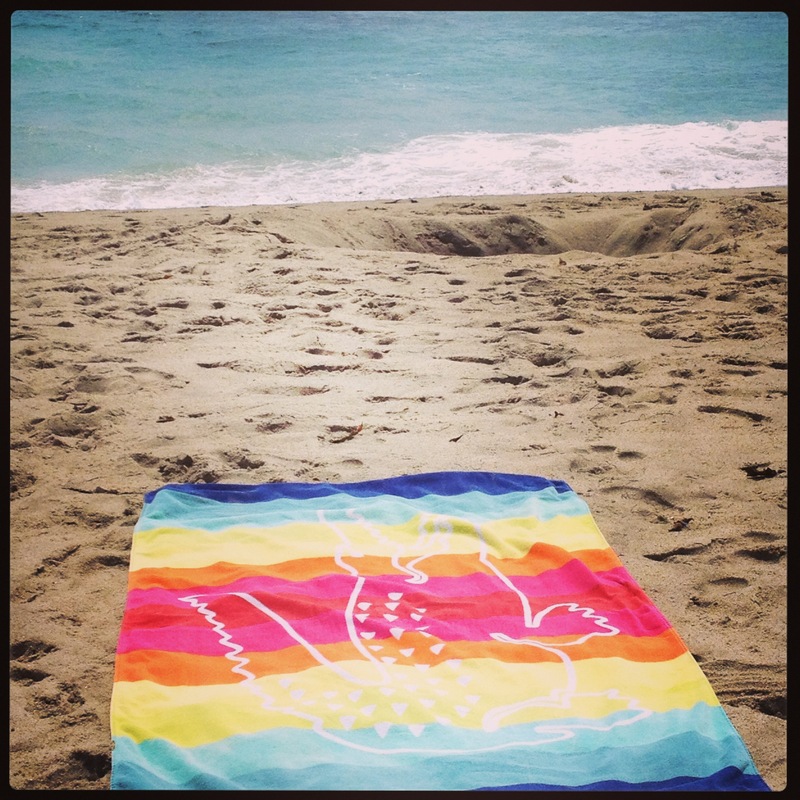 This entry was posted in Eating Out, Surveys/Random, Vacations and tagged beach, family, Laguna, random, survey, Zinc by Kaitlin. Bookmark the permalink. HAHAHA! I have to confess that I cracked multiple smiles while reading this! 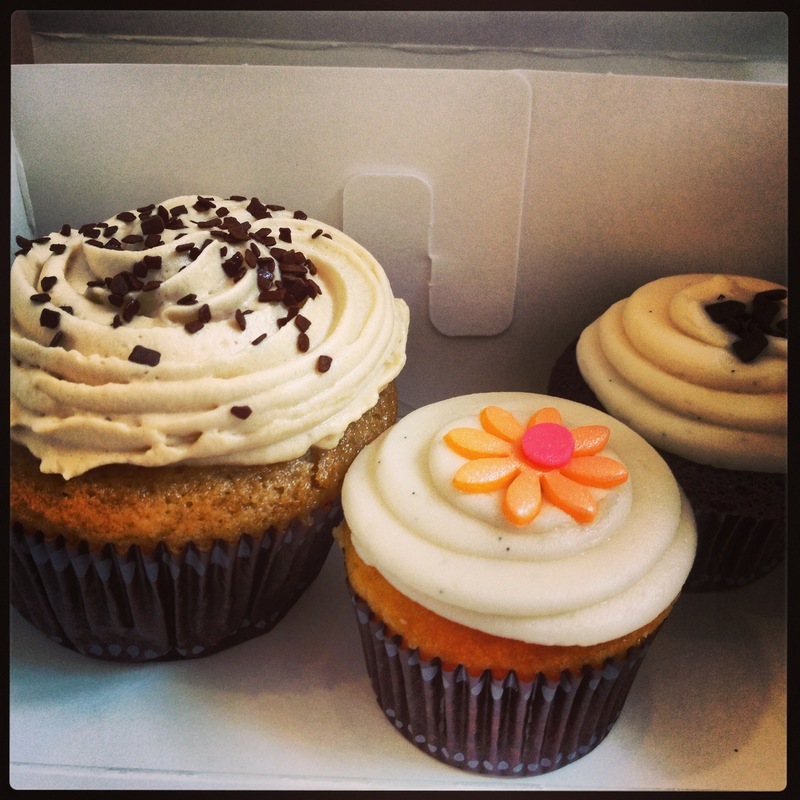 Ice cream cakes definitely were a childhood staple in my life as well, but cupcakes sound SOSOSO good! I agree that California has one season, and I can’t really complain about that! I am touched by the shout out!!! I am touched by the shout out, bestie! Ah anytime! Long time no talk!